Are You Finally Ready To Make A Change? If You're Sincere About Solving Your Problem, Please Read And Follow This Short Page & Video And You'll Be Ready To Schedule Your FREE Screening! If you are here reading this, you probably want to make a real change in your life, habits, and emotions. This solution is designed to help you face what is going on in a fun, calm, and enjoyable fashion. Your screening helps us to determine whether or not you can be accepted as a client and so that we can have a reasonable expectation for your success. At your customized, personal screening, we will have a real conversation about what your exact goals are and the problem that you want to change. We will also explain custom fees, policies, and procedures. Most importantly, we will give you an evaluation of your situation and whether hypnosis is right for you. We will explain what your responsibilities will be. Obviously, everyone is not the same. Once you are accepted as a client, we do our best to design a custom program and fee just for you. You will get to see video of other successes and/or read their stories. Prior to your screening, please be sure that you have read, at least, Lynn Finkbeiner's full personal story of how she lost 30 lbs. You will want to use their stories as a "road map" for your own success steps. Those who are more likely to have success tend to hold certain beliefs, values, and attitudes, such as: honest; sincere; able to become imaginative; follow directions well; happy to learn and discover. We are happy to talk with you. When we blame, we miss our opportunity to experience empathy. Brené Brown breaks it down in this video from The RSA. In order to determine whether or not you will be accepted, we will need to make sure that you can handle confronting what's actually happening and take feedback. You are screened via phone appointment to make sure that you are following directions so that we can have a reasonable expectation of your success. 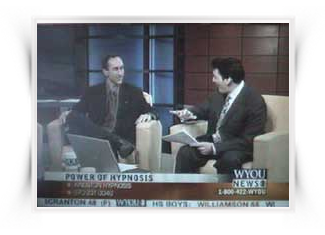 We will tell you whether or not we feel hypnosis is right for you.. It's okay to be a little emotional, when you call. Have your tissues at the ready! I know what it's like to suffer the pain and hassles of such a problem. I have personally used hypnosis for public speaking, to quit smoking, and to reduce & eliminate migraine headaches, & many other personal goals. If I can do it, you or anyone can! The world has changed, and not for the better. If you are looking for a real and genuine solution for your problem, we want to talk with you. Positive changes in your life will take some work. You will need to be sincere and willing to take personal responsibility for your changes. • Some things can only be done over the phone - and actually work more! Of course you are also welcome to visit us in person as part of your program - as is done with students, eg. for clinic site visit. Custom fees apply. Hiring / paying for a consultancy is just like anything else. The people in the reviews are real people from the community, just like you, whom we know personally, some of whom we have known for many years. Get On Our eMail / Newsletter List, too! Tons of Local Testimonials From Those Who Were Once In Your Shoes! the lowest possible cost, with the least amount of hassle. 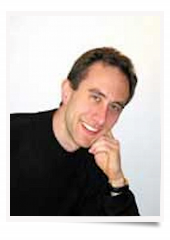 Professional Hypnotist with in-depth experience in hypnosis provides individual sessions for custom programs. Regardless of how many sessions you may need to attain your desired results and goals, we stay with the problem until you are happy. We offer a Written Service Guarantee! 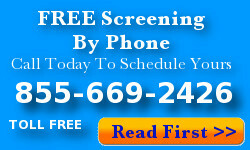 We provide a 30-40 minute screening. It’s fun and informative. We will give you an honest and in-depth explanation of hypnosis and evaluation of your situation. We'll tell you whether or not we feel hypnosis is right for you. Obviously, because programs are customized for each client, we cannot estimate prices before evaluating you and your situation. You must have a free screening. There's no risk. No obligation. If you are really sincere about solving your problem, then call us right now to find out if this is the answer you've been searching for. Read more here.